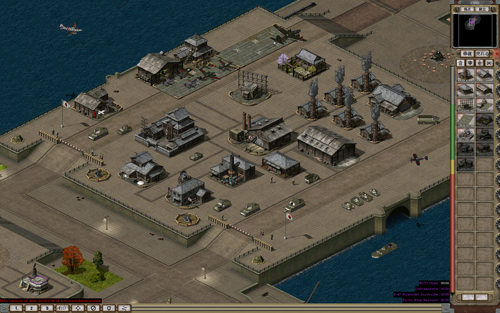 The Japanese are back with a new sidebar and several new buildings, which when built give you access to new superweapons. Also in this screenshot is a new style of cameo, which replaces the monochromatic sepia coloured cameos previously used with full colour renders. 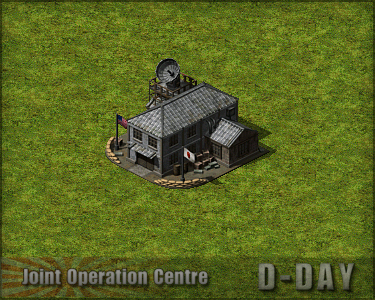 Lastly this was taken on a new map that I will be posting more about in the coming weeks, along with several others. 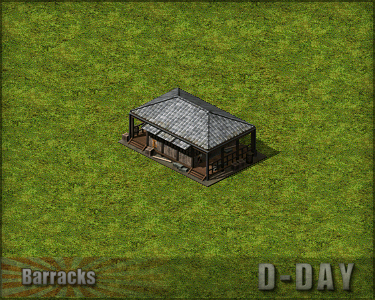 This is a new more historically correct version of the barracks, based on a structure built by the Japanese on Saipan. 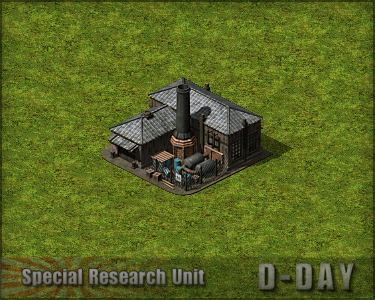 The Special Research Unit is a chemical weapons lab that gives you the ability to build chemical spreading tanks and use the Contaminate superweapon. Which releases a large gas cloud that will slowly damage any units or buildings within it's area. Note: I was reluctant to add this building/support weapon due to the sensitive nature of Japan's use and research of chemical/biological weapons. Because of the sensitive nature tho, Japan's use of such weapons during the war isn't widely known. I thought this might be a good way to raise awareness and possibly inspire players to research about it themselves. 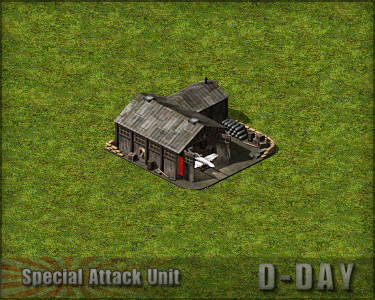 The Special Attack Unit gives you the ability to build kamikaze units, as well as accesses to the MXY7 Ohka superweapon, a specialised piloted rocket equipped with a large warhead. The Joint Operations Centre Is used by the post-war Japanese Self Defence Force sub-faction to coordinate with their American allies and call in B-47 Stratojet airstrikes on enemy targets. Note: The JSDF as it's name implies is a defensive force and as such doesn't have any large or long range offensive weaponry. They instead rely upon their American allies to support them if they enter into a war.